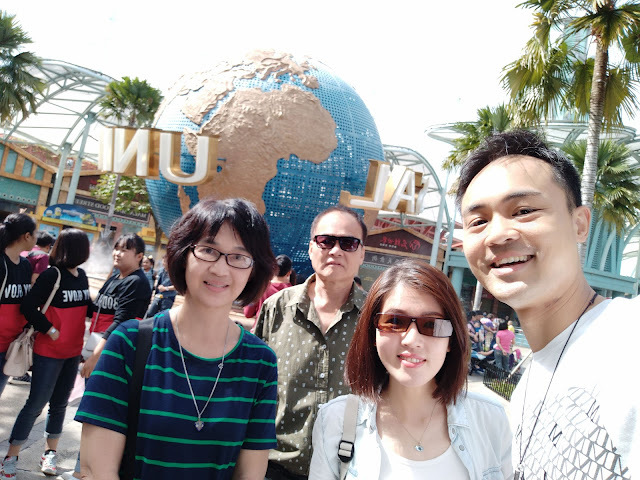 Made the right decision to spend my holiday bringing my parents to Universal Studio Singapore. Hesitated at first to buy the Express lane tix but it's all worth it, they enjoyed it. They enkoy the Transformer ride the most. Thanks to the book "The Code of Extraordinary Mind" written by Vichen Lakhiani, it helps me rediscover the purpose of working hard and the "real goals" of my life. Life is full of uncertainties. Visited Uncle Tommy at Singapore at a nursing centre. Would like to thank him for helping my family while my father needed treatment in the 1990s. It's our turn returning the favour. Get well soon! Like what you told us, you have made a deal with grandma and grandpa. House is on fire. We put down the fire first then only think how the house caught fire and then prevent it in the future. Don't do the blame game while others are trying to put down the fire. There's this type of people who don't listen but get agitated easily (even on small hiccup).What make it worst is that they don't apologise, even after learning they were wrong.